The family of Mrs. Christina Muma has shared this beautiful letter from 26 years ago! It’s an amazing testament to a wonderful volunteer for the Misericordia General Hospital, and to the generosity she instilled in her family! We remain so grateful for this gift and to the family for sharing this piece of our history. While Mrs. Muma (pictured to the right) has passed on, her commitment to the Misericordia mission of caring, respect and trust is an important legacy and a reflection of the commitment shown by our donors and volunteers! If you’re planning to drop by to visit one of Misericordia Health Centre’s interim or long-term care residents, you might want to call ahead. Chances are the person could be busy taking part in one of the Life Enrichment programs funded through the generosity of Misericordia’s donors. They might be tending the flowers or vegetables they’ve planted as part of horticultural therapy, posing for an artist drawing their portrait or decorating cupcakes. “The whole point is to enrich their lives, but also engage them in the different recreational activities,” says Ellen Locke, the centre’s manager of recreational services. “There’s a lot of social engagement and emotional engagement. You see a lot of smiling,” Locke says. There’s a lot of toe tapping going on at Misericordia during the summer months. 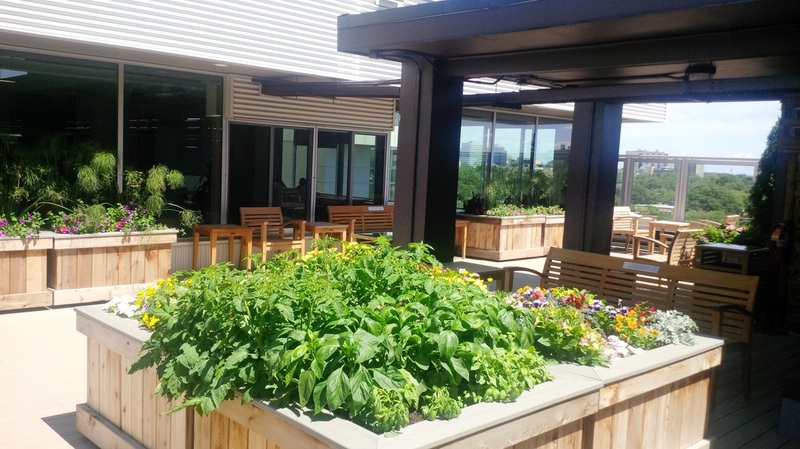 George Bajer-Koulack, a music major at the University of Manitoba, visits 30 hours each week, playing his guitar and singing with residents at barbecues or on the centre’s Great-West Life Rooftop Garden and Solarium. There are also smaller gatherings and one-on-one time, which one resident took to another level when she collaborated with the student to write a song. When opera singers visit Misericordia, one long-term care resident takes a front-row seat. The opera buff soaks up the performances, but also challenges the singers with requests to sing some of her favourite songs. “They love her,” Locke says of the Manitoba Underground Opera Company members, all of whom are University of Manitoba music students. The Opera Company performs monthly, alternating between long-term care residents of Misericordia Place and interim-care residents at the health centre. “What I love best about having the opera is it’s high-calibre, mature entertainment,” Locke says. We would love to hear your story! Include a phone number if you would like one of our Foundation staff members to call you! Interim-care resident Audrey Stewart, with the help of recreation professional Nicole Perras, decorate angel wings in anticipation of Angel Squad.